When the Great War changed the course of the 20th century, it also greatly impacted the world of communication. Until this time, muckraking was the dominant journalistic movement, which was an incarnation of investigative writing that sought to unveil corruption and scandal (to “rake” up “muck”), especially regarding politics and social issues. Some of the most influential journalists in the Progressive Era included Lincoln Steffens, Ida Tarbell, and Ray Stannard Baker, all three of whom wrote for McClure’s Magazine, which played a significant role in establishing the muckraking movement. While Steffens (1866-1936) focused on exposing government and political corruption, Tarbell (1857-1944) is perhaps best known for her work exposing John D. Rockefeller and the ills of his oil monopoly. Stannard (1870-1946) was an advocate of Woodrow Wilson during his presidential candidacy and was later asked by him to investigate the war in Europe. The muckraking movement, however, was to meet its end during World War I, during which government in general became adversarial toward journalism. Seven days after the United States entered the global conflict, President Woodrow Wilson created the Committee on Public Information (CPI), which strove to publicize the war through print and visual media in only constructive ways. Although the CPI did not have the ability to censor, its head, George Creel, a muckraking journalist himself, did advocate for voluntary self-monitoring and even issued a Preliminary Statement to the Press in May 1917 that urged editors to prevent publication of any news that could compromise military operations. As Creel was also a member of the government Censorship Board, which monitored communication over telegraph, telephone and cable, he was able to scrutinize periodicals as well as magazines, which were required to present their articles for the board’s review before publication. The Espionage Act of 1917 and a 1918 sedition amendment frustrated attempts to publish an objective view of the war even further. The former barred any materials that ostensibly advocated disloyalty, insubordination, treason or obstruction of military recruitment, while the latter deemed criminal any published content disloyal to the government or military. In the hands of a manipulating Wilson administration, the freedom of domestic reporting was severely restricted. Although operating under difficult conditions, there were numerous journalists who were able to distinguish themselves for their courage, intelligence and integrity. 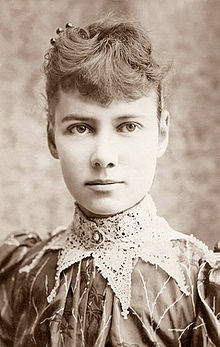 During what she thought only to be a vacation in Europe, Nellie Bly (1864-1922) witnessed the outbreak of the Great War. Previously, Bly had written for the New York World about government corruption, poor working conditions, and the Pullman labor strike, and even had the opportunity to interview American social reformer Susan B. Anthony. After taking a hiatus from investigative journalism, she was asked by a former World editor to write for the New York Evening Journal about her experiences in war-torn Europe. She ultimately accepted and is now known as America’s first female war correspondent reporting from the front lines. John Reed (1887-1920) was another war correspondent who sailed to Europe soon after Germany declared war on France. He viewed the war largely as a product of commercialism and was frequently thwarted by censorship in the press. Reed is famously known to have shouted, “This is not my war, and I will not support it. This is not my war, and I will have nothing to do with it” (Homberger, John Reed, 1990, p.122). 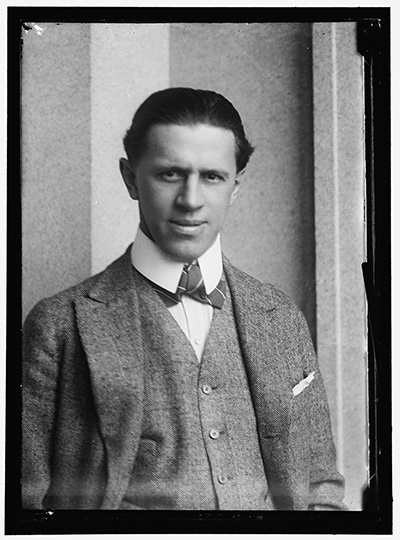 After President Wilson announced the involvement of the United States, Reed went on to publish vitriolic anti-war articles in the Socialist magazine The Masses, whose editors were eventually charged with conspiring to obstruct conscription. After the war, author and journalist Georges Seldes (1890-1995) conducted an exclusive interview with the supreme commander of the German army, Paul von Hindenburg, who actually broke down in tears during the interview and discussed how pivotal America was strategically in winning the war. With the efforts of these journalists and many others, it seems only appropriate that the Pulitzer Prizes, established by one of the most famous journalists and publisher of the St. Louis Post Dispatch and the New York World, Joseph Pulitzer, were first awarded for achievement in journalism in 1917. For a topic overview, check out the entry “Journalism, World War I” from our online reference Americans at War: Society, Culture and the Homefront. This entry concludes with a bibliography with sources that further investigate the history of journalism. For primary sources, try browsing through a list of periodicals published during WWI. Read more about Lincoln Steffens. Discover the World War I diary of Ray Stannard Baker and more. How well do you know Nellie Bly, the woman who travelled around the world in 72 days? Find out more about the radical politics of John Reed. Learn about the extraordinary career of Georges Seldes. Resources about Joseph Pulitzer, the history of the prizes, and the works of individual prize-winning authors are all right here. For more information about journalism throughout World War I, please email me, Alexander Williams, or call 610-519-8845. Article written and links provided by Alexander Williams, research support librarian for the social sciences and the liaison to the communication, criminology and sociology departments.